This week, I got this fun image from QKR Stampede...Cat n Dog. I knew which sentiment I wanted with it, as soon as I saw it. It took me aaaages to find a paper to go with it, that I thought "fitted". and embossed a line around the edge of the backing paper. You can't tell from this pic, but I added glossy accents on their eyes and noses. 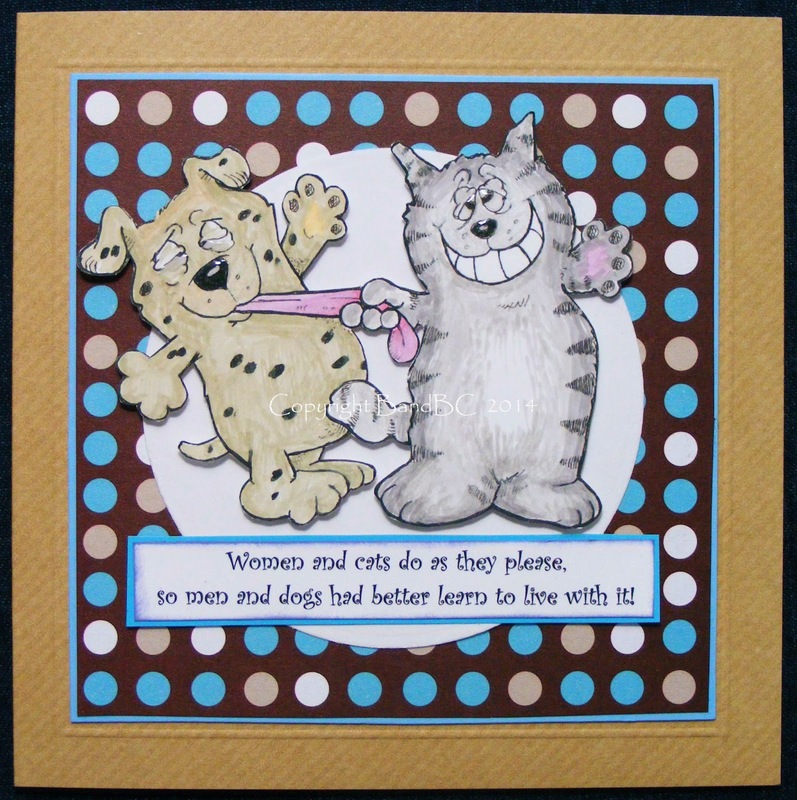 I thought this card would be suitable for a cat or dog lover...either a male or female. Thanks for playing in our "Anything Goes!" Challenge #88! Vic: Cute card & digi. Thanks for entering our Challenge #57 - "Animals"--hope you enter our upcoming challenges too. This is perfect for our current challenge “Anything Goes” at Pattie’s Creations. What a cute image too! Thanks for joining us! What a fun card!! Love the image!! Thank you for sharing with us at Pattie's Creations Design Challenge for our "Anything Goes" challenge.